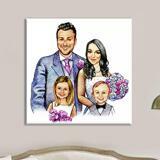 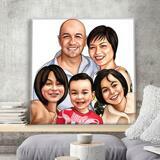 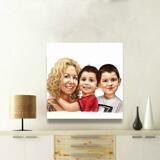 Get a beautiful group portrait drawing printed on large or small canvas, vertically or horizontally of your choice. 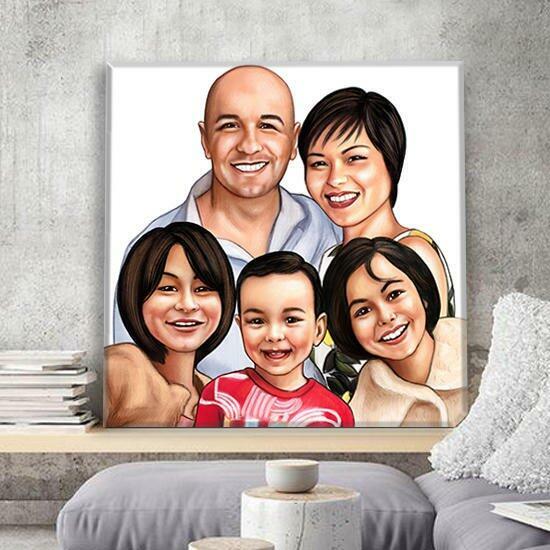 Portrait will be drawn by professional artist, who will be based on submitted photo and requirements, using color pencils and paper. 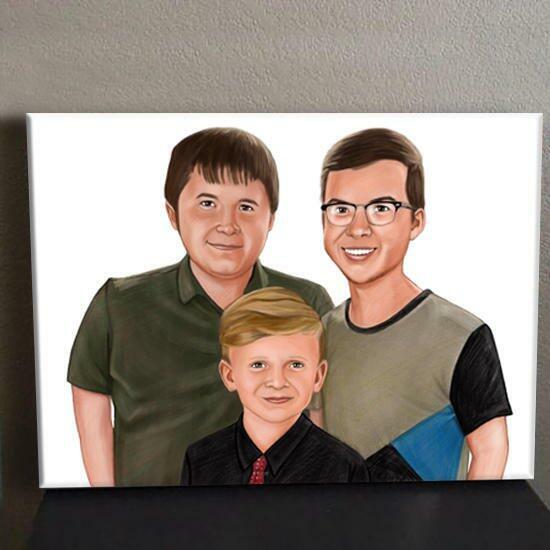 Before the final printing of your group portrait on stretched canvas, your group portrait will be delivered as a digital JPG File on Email for approval. 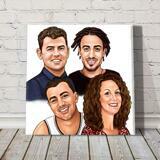 Group Portrait Drawing will be executed with accuracy, capturing all beautiful facial lines. 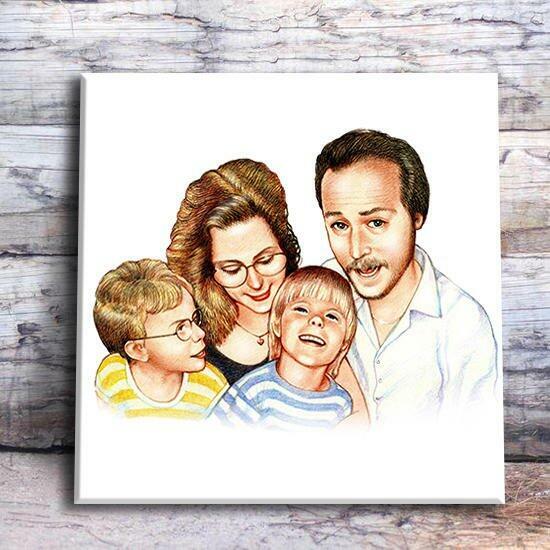 Group Portraits Drawing is one of our best sellers. You can make a memorable gift to anyone upon your wish with this customized drawing printed on canvas, especially for your family and best friends who will preserve this amazing canvas print for years.